Personal Protection Tip: One excellent way to strengthen safety in our community and in our homes is to enroll in a low cost first responder class. The American Red Cross offers a variety of training to allow citizens to get certified to render aid and assistance to others. Personally, my certifications in First Aid, CPR, and AED are expiring soon. Thus, I will be renewing my certifications within the next month. 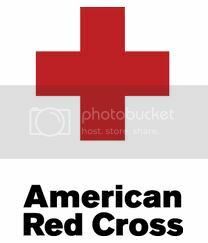 Join me by getting trained by a local Red Cross Center in your neighborhood. After all, you may be the difference as to whether an injured person lives or dies.